Hitman 2 is expanding beyond solo assassinations. For the first time, the franchise is adding two multiplayer modes – the already-revealed co-op Sniper Assassin mode, and the newly-announced 1v1 competitive Ghost Mode. In Ghost Mode, you and another player will compete to be the first to pull off a series of randomized assassinations. You opponent will only exist as a ghost in your world, so they won’t be able to sabotage your plans, but once they score a kill you’ll have a limited amount of time to take down the same target. You can check out a trailer for Ghost Mode, below. The folks at Eurogamer got a chance to go hands-on with Ghost Mode – here’s over 15 minutes of footage. Agent 47 is the world’s deadliest assassin, and the only person who can match him in skill, stealth and execution is…himself. 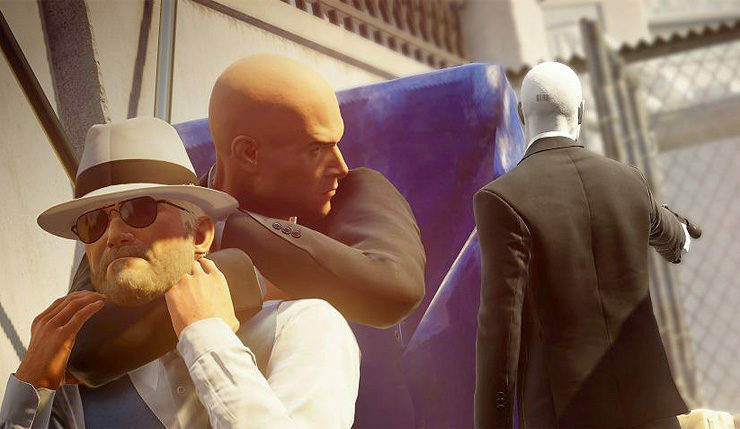 Ghost Mode allows two players to compete against each other online, both as Agent 47, to assassinate the most targets in a match. At the start of each round, both players begin side-by-side and must race to take out the same targets faster and cleaner than their opponent, while utilizing weapons, items, outfits and ghost crate supply drops along the way to help accomplish the overall mission.